An Interview With The Phoenix Folk-Rock Quintet JARED & THE MILL About Their Latest EP and Busy Summer Tour! In just another week, the Phoenix, Arizona quintet Jared & the Mill will be wrapping up their U.S. shows and summer festival appearances. In support of their latest EP, “Orme Dugas,” the group had shows all over the country and only have a few stops left including this weekend in Los Angeles at the Troubadour. 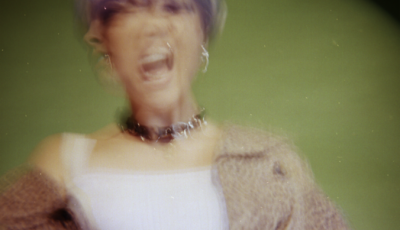 Produced by Grammy Award-winning Ryan Hewitt (Tom Petty, The Avett Brothers, Dixie Chicks), and recorded at Nashville’s legendary House of Blues studio, Orme Dugas’ five tracks collectively chronicles five lives in perpetual motion and have received praise from Paste, Taste of Country, High Voltage, No Depression, Glide Magazine and more. 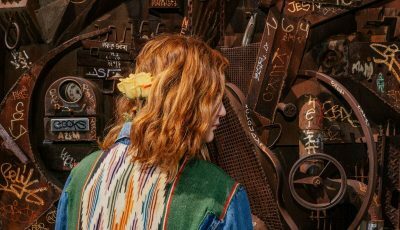 Overflowing with nostalgia and wanderlust, the EP is poignantly named after an exit near the band’s Arizona home and jam-packed with telecaster twang, sizzling banjo and soaring harmonies. 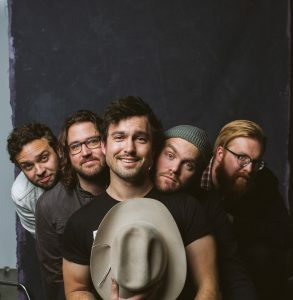 Over the last two years, the western indie rockers have toured virtually non-stop, joining Barry Gibb, Boy & Bear, Bad Rabbits, Zac Brown and Allen Stone and experiencing the trials, tribulations and troubles of a life as road warriors. As a result, Jared & the Mill’s live show is widely acclaimed and sought after, and the band recently wrapped another successful run at SXSW 2017. See HERE for its performance for Paste Magazine x Daytrotterfilmed at Same Sky Productions in Austin, TX. 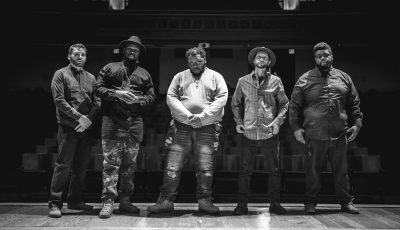 Jared & the Mill is made up of Jared Kolesar (lead vocals, acoustic guitar), Michael Carter (banjo), Larry Gast III (electric/lead guitar), Chuck Morriss III (bass guitar) and Josh Morin (drums, percussion). Thanks for your time for another All Access interview! Where does this interview find the band today? Today we are in the beautiful town of Lansing. Michigan. What are some words you would use to describe 2017 so far? How differently did you all approach this year? We set into 2017 with a whole lot more experience than the year before, every year we get tighter and tighter musically, and performance wise. It’s really rad to come together as better friends every passing year and to see the fruits of our labor bloom. How do you think your overall sound has changed and really grown over the years? What about what drives you all to make music now? Has that shifted at all? Our sound is a completely different animal than what it was when we set out, a lot of our songs when we got started had this air of ambition to them in regard to being out on the road. Now our songs have a more realistic tinge to them, I think the same ambition is there, but we’re still finding out just how much work we have ahead of us as we keep shooting for our dreams. How would you say that your latest EP, “Orme Dugas” is different or similar to anything else that you have previously put out? What was it like working with the Grammy-winning producer Ryan Hewitt on this collection? Where did the inspiration for these songs come from? How do you guys go about putting a track together? I think Orme Dugas is the truest recorded version of ourselves so far, the other records were put together when we were still in a place of wanting to discover our true identity as a band/sound, and this record was the first time we really nailed that down. I think Ryan Hewitt had a profound affect on the way that all went, he pulled a lot of stuff out of us that I think we were a little nervous about at first, as far as delving deeper into that dark western sound the record has. Ultimately I’m really happy he got what he did out of us, cuz I’ve never been prouder of a piece of work. The creation of our songs is hugely collaborative, as we all contribute our own parts and bounce ideas off of one another after a song has been initially written. Honestly a song can come out looking hugely different than it did going in. When the 5 of you first started playing music together, could you have ever imagined that you would be where you are at today? Actually not at all, I don’t think any of us were really anticipating the road we’ve gone down, which may be the reason we’re such good friends, when we got started we all really just wanted to hang and play tunes with some cool dudes while we all found our place in the world back at home, none of us really had any idea where this was all gunna go; which, I think that’s the reason our music has the sincerity that it does, it was born in a very honest place. Arizona is often overlooked as a cultural destination, but the fact of the matter is that we’re such a colorful and diverse community. We’re butted up against Mexico and are hugely impacted by their culture and music. We also share space with several Native American Tribes and have this big residual western mysticism that we identify with through old western movies and the historic saloons and such that we still have scattered around our land. All of these different cultures coming together have made for a really interesting and exciting land to grow up in, we’re certainly affected musically. “Lost, Scared, & Tired” was built off of a rhythm I picked up listening to an old Mexican Crooner named Pedro Infante, look him up, his stuff is badass. Tours been going NUTS! it’s hard to pick a favorite show, some shows are super intimate with like 20 people in the crowd, which results in a whole lot of fan participation (calling people up to dance on stage, us playing a couple extra acoustic songs just because, etc). We also have had crazy packed shows as well, for instance, we sold out our first show in Austin Texas at Mohawk, which was INSANE, cuz that place is legendary. Playing a big show in Brooklyn at Roughtrade was also a huge deal for us, I don’t know, it’s too hard to choose. How do you keep up the energy and momentum up night after night? Can you think of anything super important or super silly that you each have to take on the road? Our bond as buddies is definitely something that keeps us stoked for the shows, we’re always trying to get the best performances out of one another, it’s a silly comparison to draw, but it’s a lot like dudes at the gym spotting one another, if any of us are in a tough spot, or are in a bad mood (yes bad moods can happen) We have gotten really good at pulling energy out of one another and keeping spirits high on stage. We bring each other on the road I guess, that’s pretty silly. You guys have toured a ton so I am curious to know what you think makes for an ideal performance? All performances are a little different, I think to Taylor each performance a little differently and consider each show as a special opportunity to connect with people is the best mindset to have. One thing we do really well is getting people to open up throughout the show. At first we’ll coax the crowd in after the second song, and get em a little more trusting in us with some easy hand clapping parts. Then halfway through we’ll go into the crowd and play some acoustic songs for them to sing along with, almost like a campfire type experience. By the last fourth of the set, we’ve got strangers putting their arms around one another telling everybody in the room that they feel the love. It’s really a special responsibility and privilege to bring so many different types of people together in such a way. Our taste in music varies pretty wildly from dude to dude, I’m currently sitting next to Josh (Drummer) who says he really loves Robert Ellis, Anderson. Paak, and Kendrick Lamar. I personally can’t get enough of The Weeknd and Drake currently, but I also have been getting down pretty hard with Pinegrove, our new tour buddies Canyon Spells, and I’ve been really connecting with the first couple of Black Sabbath records. In the future I’d love to work with The Head & The Heart (another favorite), Rick Ross and Kanye West. We hope people come away from our music with a lighter heart. Not in a cheesy way, but in a sense of coming to terms with regrets, and knowing that even though they make mistakes and feel like they’re off their track that they’ve set for themselves, to error is human, and all is not lost. I’ve recently been told by an ex-self-injurer that she really is moved by Messengers, and thinks about her mother when the chorus takes off in regards to “tell her I’m lost, but that’s alright”. It’s so cool to hear what different songs of ours mean to different people. To be a force that helps people accept their scars is really special. What advice would you give to a band just getting started on this music path? Or even to someone young that is thinking of becoming a musician one day? I would tell them to buckle up, because this is an incredibly fulfilling way of life, but it’s also incredibly difficult to anticipate what’s going to happen. The best thing you can do is always try to be the best form of yourself, never stop writing, never stop creating, never stop dreaming, because there are some really special moments when your dreams and realities collide, and to witness it happening before you is something you need to remember and hold dearly, because those moment are what will keep you on the straight and narrow; also, always remember who you are, because playing music and touring exposes you to the underbelly of this nation, and without strength of character, it’s really easy to find yourself in some dark places. Keep your friends close, and call your parents, they miss you and want to know how you’re doing. Please please please come out to a show and see what I’m talking about, there’s something really special about the crowds that come into our shows, there’s a lot of love in places you’d least expect, and it’s cool to pull positivity out of one another. It’s not a feeling I can describe accurately, you gotta feel it yourself. See you out there. An Interview With The Rising Alt-Pop Songstress, VÉRITÉ On Her Upcoming Tour and Newest Music! Singer-Songwriter CHRIS PIERCE Discusses His Latest Album ‘You’ve Got To Feel It’ and His Song Featured on Hit Show This Is Us!